Amber's dream of an ideal life with her perfect family shatters when she loses her husband to the war in Afghanistan. Two years later, she finds herself in a struggle to save her home while providing for her nine-year-old daughter, Bree. When up-and-coming racecar driver, Cody Jackson, rolls into town, Amber and Bree become wrapped up in his pedal to the metal way of life. Amber struggles with Cody's attention and withdraws to protect herself and Bree from the dangers of becoming too close to someone who lives life on the edge every day. 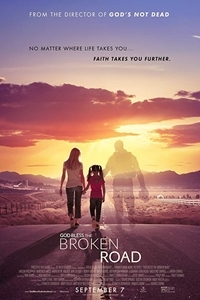 With her faith hanging in the balance, Amber is forced to decide between the broken road she knows so well, or trusting in a new path that God has provided.